Firm Overview Kory A. Crichton Esq. 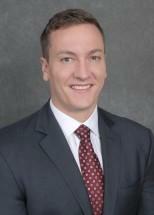 Kory A. Crichton joined Laufer, Dalena, Jensen & Bradley, L.L.C. in September 2018 following a judicial clerkship with the Honorable Ralph E. Amirata, Superior Court Judge for the Family Division, Morris County, New Jersey. Mr. Crichton received his Bachelor of Arts in Philosophy & Political Thought from Muhlenberg College, where he played Division III football for the Mules and was a captain during his Senior year. In 2017, he graduated with his Juris Doctorate from Syracuse University College of Law where he received a certificate of study in Entertainment & Sports law. During his law school tenure, he co-chaired the Moot Court Honor Society's trial program and advocated on the mock trial team in Brooklyn, New York for the American Association for Justice Student Trial Advocacy Competition. In addition to his academic pursuits, Mr. Crichton was the commissioner of the law school's flag football league. In the summers throughout law school, Mr. Crichton interned for the Honorable Mary F. Walrath in the United States Bankruptcy Court for the District of Delaware, and at NFL Films overseeing the acquisition of intellectual property and contract negotiations for documentaries.